The old Seoul Station building has been restored to the way it looked in 1925 and will open as a new culture space, Korea Craft and Design Foundation announced Thursday. The station’s new name will be “Culture Station, Seoul 284” upon its opening in August. Originally named Gyeongseong Station during Japanese colonial rule, the old Seoul Station was designed by Tsukamoto Yasushi of Tokyo Imperial University. 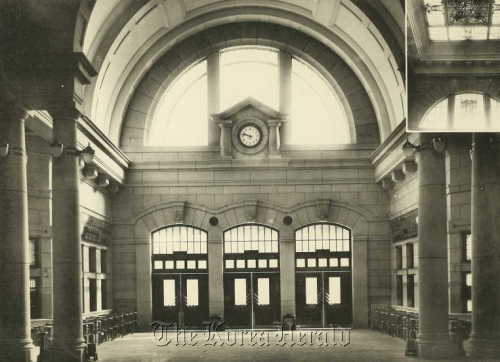 It was opened in October 1925, and its name was changed to Seoul Station in 1947. The station was once the center of Korea’s capital as the first line of Seoul metro was opened in 1974, on top of the railways. Yet as express buses became popular after Korea’s major highways were launched, the station began to lose its stature in the 1990s. The old train station building was vacated and left in disuse after KTX, Korea’s high-speed rail system, was launched in 2004 along with the new Seoul Station building. It was the Ministry of Culture, Sports and Tourism ― which charge of the maintenance of the building in 2007 ― that decided to restore the building into its original form and establish it as a new cultural space. The project began in July of 2009 with Korea Craft and Design Foundation. The newly restored building will be filled with cultural events, exhibitions, performances as well as seminars and conferences, the ministry said. 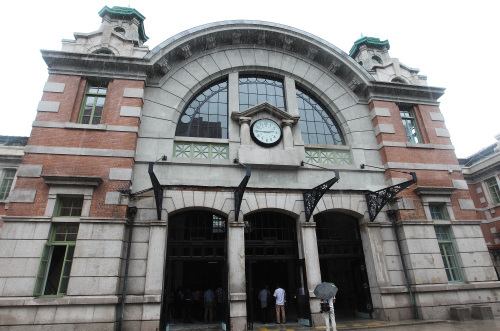 Ahn said that the culture ministry hopes to one day reopen the building as a train station, while keeping it as the culture space, since its facilities and rail roads have been well kept. “KORAIL (Korea Railroad Corporation) will have to agree with the ministry in order for this to actually happen,” said Ahn. The old train station houses many rooms that are historically significant, including the VIP room where Korea’s former presidents were served while they were waiting for their train, and the large hall where one of the most high quality western restaurants in Korea was located during the Japanese colonial period. The ministry in April asked the general public to submit their suggestions for the new name of the train station building. Its official name ― “The Culture Station, Seoul 284” ― was selected from among 1,490 submissions. The winner reportedly included the number 284 as it is the building’s National Historic Site designation number. “The Culture Station, Seoul 284” opens to the public on Aug. 9.